Arsene Wenger has conceded that he might not see out the end of his two-year contract at Arsenal and says his situation will be discussed with the club’s board at the end of the season. 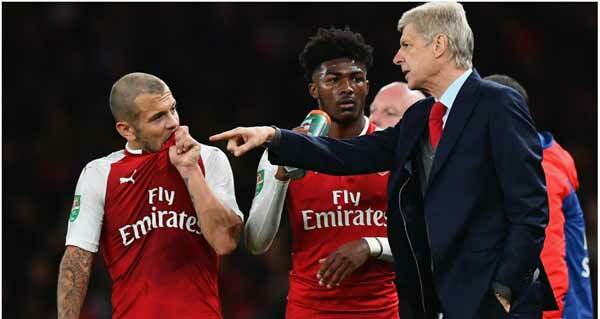 The Frenchman’s lengthy tenure at the Emirates Stadium came under severe scrutiny last term as the Gunners were humiliated by Bayern Munich in the Champions League round of 16. A fifth-place finish in the Premier League also meant that Arsenal missed out on Europe’s premier competition for the first time since the 1998-99 season. Despite the growing levels of discontent among Arsenal’s fanbase, Wenger – who led the team to FA Cup success – penned a fresh two-year deal. The uncertainty over Wenger’s future last season is a situation the club will be keen to avoid this time around, but the veteran boss – whose side are sixth and 12 points off leaders Manchester City – gave no assurances that he would be at the helm next term. Speaking to beIN SPORTS, he said: "I said I will sit down with the board at the end of every season and see where we go from there – so that’s not exactly the same. "That’s as well sometimes you know, you make a sentence and people turn it the way they would like to see it. "That’s what I said – I have a two-year contract, I will always try to go to the end of my contract but always have the honesty to sit down with the board and see where we go from there. So that’s quite simple." Wenger’s side return to action after the international break on Saturday as they host Tottenham in the first North London Derby of the season.